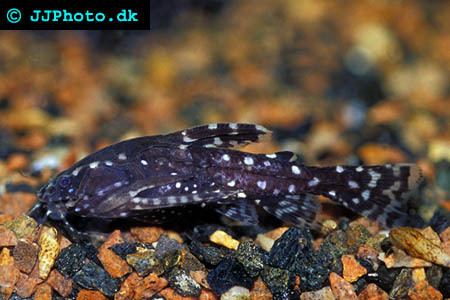 Company: Agamyxis pectinifrons (Spotted raphaael catfish) can be kept in a community aquarium as long as to small species are avoided. Aquarium setup: Agamyxis pectinifrons (Spotted raphaael catfish) is a hardy fish that tolerates most water conditions as long as extremes are avoided and that can be kept with most other fishes. The aquarium decoration is mainly up to you but you should provide them with caves to hide in. You should always keep more then one Agamyxis pectinifrons (Spotted raphaael catfish) and preferable in groups of 5 or more fishes. 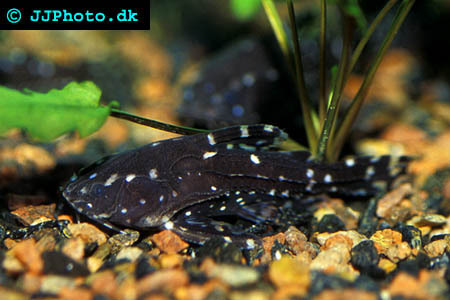 Feeding: Agamyxis pectinifrons (Spotted raphaael catfish) accepts most food sources. Will eat snails.